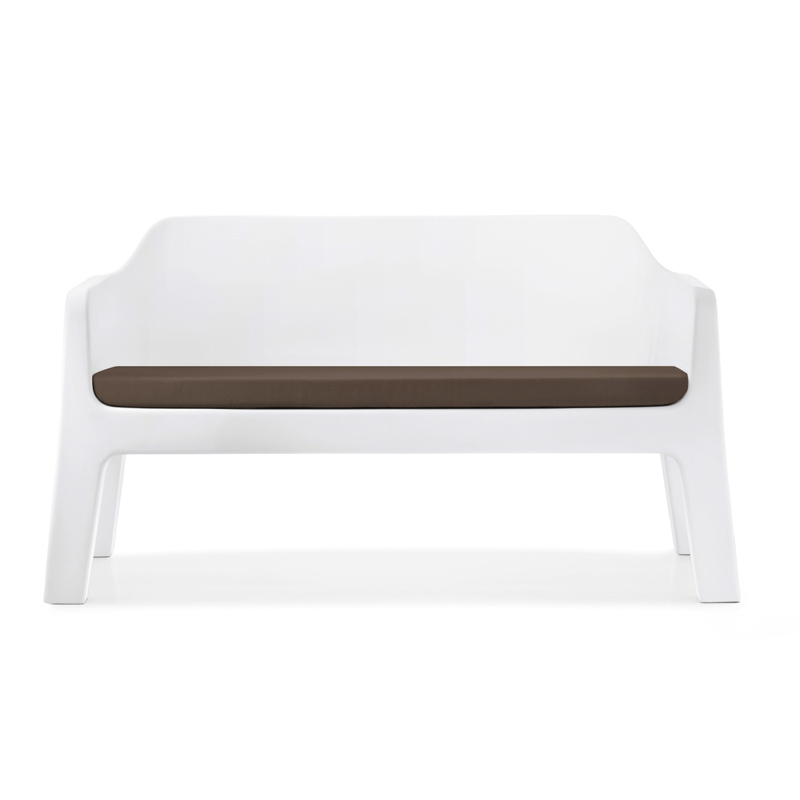 Plastic sofa made by polyethylene suitable for outdoor use. The large wa­ter drain hole is also a useful handle to move it easier. Can be ordered with cushions and in 3 colours.